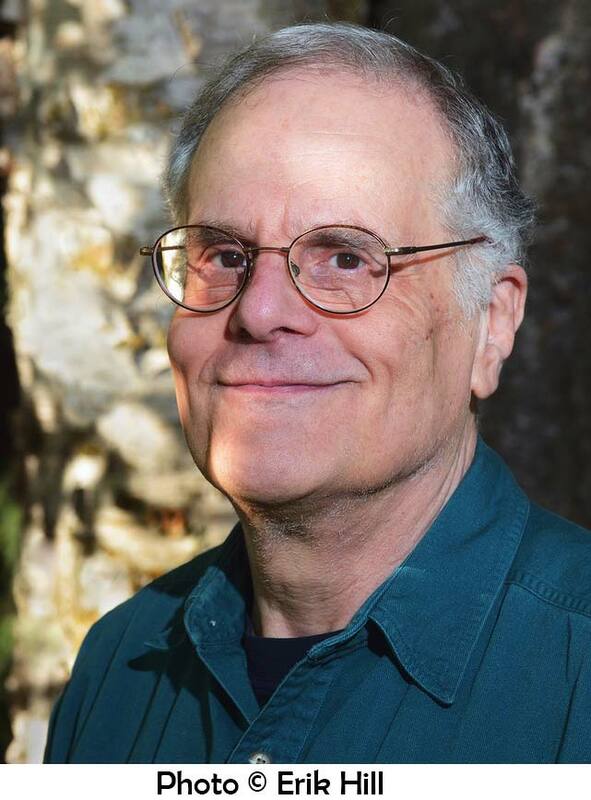 Ronald Spatz, editor-in-chief and founding editor of Alaska Quarterly Review (AQR), is a nationally recognized literary editor and a former National Endowment for the Arts Fellow. He is currently a full professor of English and Creative Writing and the founding editor and project director of the statewide website, LitSite Alaska at the University of Alaska Anchorage where he also served as the founding Dean of the University Honors College and Undergraduate Research & Scholarship from 2001 to 2014 and Director of the Master of Fine Arts Program in Creative Writing from 1985 to 2oo2. Spatz has an MFA degree in Creative Writing from the University of Iowa Writer’s Workshop. He has been the recipient of three university-wide teaching excellence awards (two Chancellor’s awards and a University of Alaska Anchorage Alumni Award), a Chancellor’s Award and other awards and recognition for LitSite Alaska. The University of Alaska Board of Regents has also recognized him for outstanding leadership. Spatz was honored with the University of Alaska’s highest award, The Edith Bullock Prize for Excellence, presented by the University of Alaska Foundation. Spatz was also honored by the State of Alaska. He was the recipient of a 2010 Governor’s Award for the Humanities and a 1996 Alaska Governor’s Award for the Arts. Recognition for Spatz and his Alaska Quarterly Review team include a Chancellor’s Group Award for Excellence (in Research and Creative Activity), a Special Recognition Award for “offering literary excellence to Alaska and the world” from the Alaska Center for the Book, five major awards from the National Endowment for the Arts, the 1996 Governor’s Award for the Arts — the State of Alaska’s highest award in the Arts, and honored by the Municipality of Anchorage with a Proclamation declaring April 26, 1999, “Alaska Quarterly Review Day.” In the U.S. Senate, Alaska Senator Frank Murkowski made two tributes to Alaska Quarterly Review recorded in the Congressional Record on July 31, 1997, and on September 24, 1999. 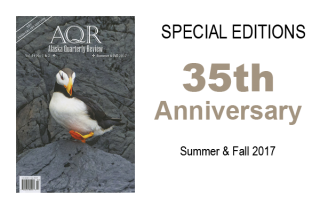 Upon the Alaska Quarterly Review‘s 30th and 35th anniversary milestones, Alaska’s U.S. Senator Lisa Murkowski recorded tributes in the Congressional Record on May 7, 2012 and the Congressional Record on October 2, 2017. Recent work from AQR has been selected for The Best American Essays, The Best American Poetry, The Best American Short Stories, Prize Stories: The O. Henry Awards, The Pushcart Prize: The Best of the Small Presses, The Best American Mystery Stories and The Beacon Best: Creative Writing by Women and Men of All Colors. 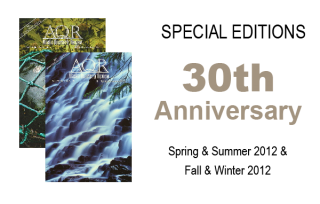 Over time, AQR has also received “Distinguished Stories of the Year” citations from The Best American Short Stories and has been ranked as one of the top markets in the U.S. and Canada by Writer’s Digest. Editor Spatz and AQR has been featured in The Chronicle of Higher Education, the Novel & Short Story Writer’s Market (Writer’s Digest Books), The Writer, and Poets & Writers Magazine and in numerous collections including The Whole Story: Editors on Fiction, Spreading the Word: Editors on Poetry, and The Little Magazine in Contemporary America. There have also been media features on public radio in the United States, Canada, Great Britain, and Australia.